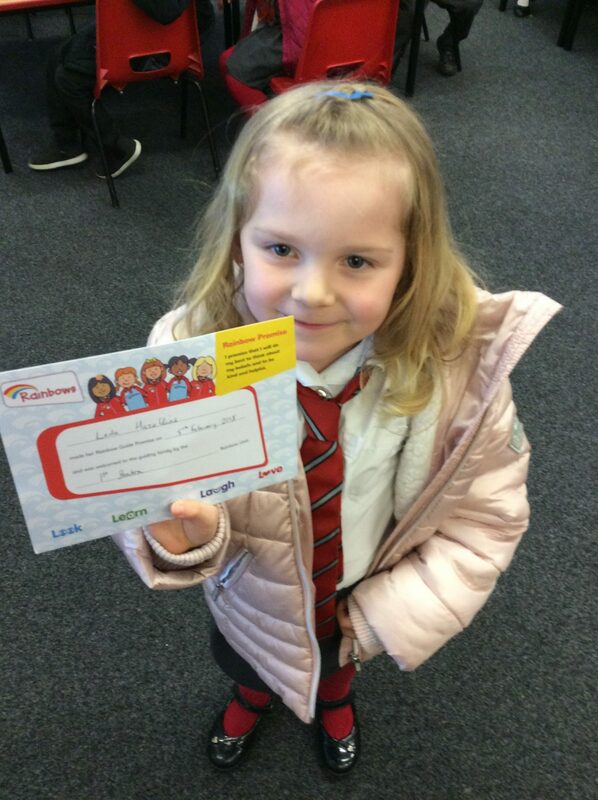 Well done to Leila on obtaining her promise certificate from Rainbows. We all know that Leila must make an amazing Rainbow because she always works so hard and listens so beautifully. Well done Leila, we are very proud of you. This entry was posted in Year 1 and tagged Celebrations, P.H.S.E. on February 15, 2018 by Sandford Hill. Well done Leila, everyone is very proud of you!